The Track Feeder Switch (TFS) is required to bring isolations of the 750V DC conductor rail into line with the requirements of the Electricity at Work Regulations 1989. The TFS isolates the live conductor from its sources of energisation (Electricity at Work Act Regulation 12) and securely protects against inadvertent re-energisation from any source (Electricity at Work Act Regulation 13) by being connected to the negative pole of the supply via the bonding switch. The TFS can also isolate traction substations and track paralleling huts from the conductor rail (Electricity at Work Act Regulations 12 & 13) whilst allowing the conductor rail to remain energised, maintaining the operation of electric trains. This is intended to improve safety in general and to smooth the progress of isolation and possession planning. The TFS application is for use on the main line isolations prior work on the track commencing. It is intended to replace the existing practice of fitting a bonding cable that is clamped to the rails manually at the start of a possession and removed manually before the possession is over. It is necessary for the potential of the rail to be checked prior to fitting the bonding strap. The TFS, depending on its location, may be connected in one of two applications: From the outgoing terminals of the substations and track paralleling huts to the track mounted conductor rails From the outgoing terminal of the rectifier circuit breaker(s) to the substation positive bus bar. ● Fortress Interlocking with key retention. ● Provision for SCADA systems (option). ● Electro Mechanical locks to prevent incorrect operations. ● Operating temperature range +40°C to -25 °C. ● Low maintenance, 10000 operations between major maintenance periods. ● Earth Fault Relay with Test and Reset facilities. ● Suitable for 230 VAC or 110 VAC operation. 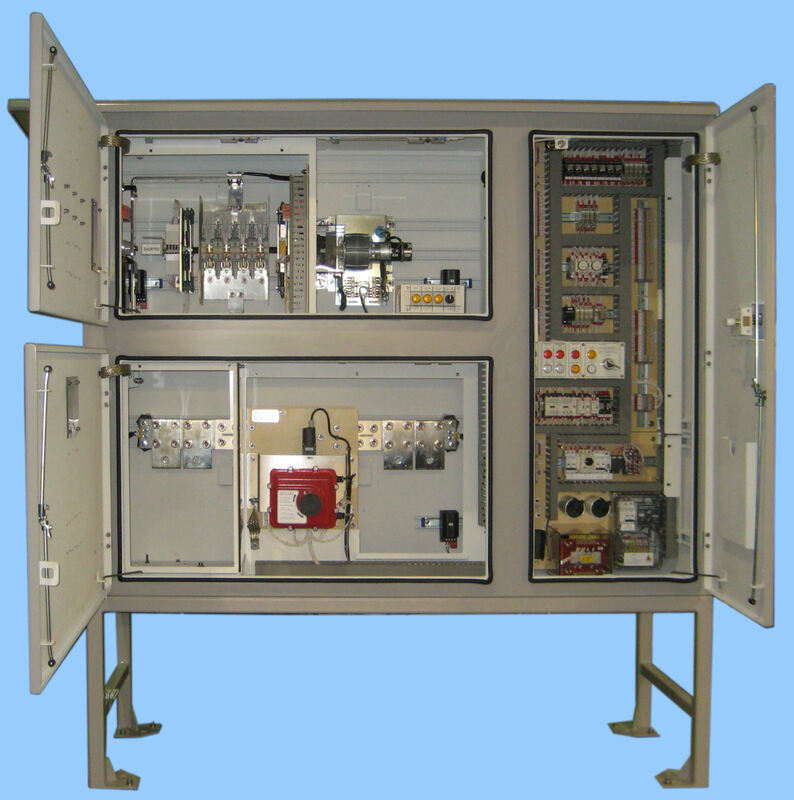 ● 5 kV isolation transformer within an insulated ‘enclosure’. ● Low energy Lighting is provided per compartment. ● Thermostatically controlled Anti Condensation Heaters. ● Clearance and creepage distances to BSEN 50123. Goose Grey Semi‑Gloss with Anti‑Graffiti varnish coat. Internal surfaces painted with white Anti‑Condensation paint. Hot Zinc Sprayed. IP 55 rated.